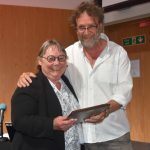 Professor Rosemary Horne is one of seven Deputy Centre Heads of The Ritchie Centre, Hudson Institute, where she heads the Infant and Child Health theme. Her research interests focus on sleep in infants and children and current research projects are investigating mechanisms involved in the Sudden Unexpected Death in Infancy (SUDI), development of cardio-respiratory control in preterm infants and the effects of sleep disordered breathing on daytime performance and the cardiovascular system in children. 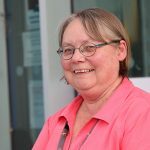 She has received funding from the NHMRC, the Heart Foundation and both national and international SUDI organisations to support her research. 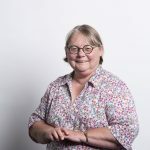 Professor Horne’s findings have had clinical impact, with her study outcomes changing treatment approaches for sleep-disordered breathing in children, as well as advice provided to parents to reduce their baby’s risk of SIDS. 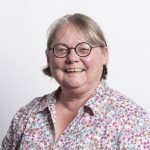 Professor Horne has an international reputation in her field and is the Chair of the Physiology working group of the International Society for the Prevention of Infant Death. She is a Director of the International Paediatric Sleep Association and is on the editorial boards of the Journal of Sleep Research, Sleep, and Sleep Medicine. She has published more than 170 research and review scientific articles and has been an invited speaker at a number of national and international sleep and SUDI research conferences. She has supervised 16 PhD students and 40 honours and masters students to completion. Walter LM, Tamanyan K, Limawan AP, Biggs SN, Davey MJ, Nixon GM, Horne RSC (2018) Overweight and obese children with sleep disordered breathing have elevated arterial stiffness. Sleep Medicine 48:187-193. Horne RSC, Fung A, McNeil S, Odoi A, Wong FY (2017) The longitudinal effects of persistent apnea on cerebral oxygenation in infants born preterm. J Pediatrics 182:79-84. Yiallourou SR, Wallace EM, Mallan C, Odoi A, Hollis S, Weichard A, Varma SK, Cameron J, Narayan O, Horne RSC (2017) Sleep: A Window Into Autonomic Control in Children Born Preterm and Growth Restricted. Sleep 40(5). doi: 10.1093/sleep/zsx048. Cohen E, Wong FY, Wallace EM, Mockler JC, Odoi A, Hollis S, Horne RSC, Yiallourou SR (2017) Fetal growth restriction alters autonomic cardiovascular control in the immediate postnatal period but not during infancy. Pediatric Research, 82(3):474-482. Vandeleur M, Walter LM, Armstrong D, Robinson P, Nixon GM, Horne RSC (2017) What keeps children with cystic fibrosis awake at night? J Cystic Fibrosis 16(6):719-726. Walter LM, Dassanayake DUN, Weichard A, Nixon GM, Davey MJ, Horne RSC (2017) Back to sleep or not: the effect of the supine position on pediatric OSA: Sleeping position in children with OSA. Sleep Medicine 37:151-159. Horne RSC, Shandler G, Weichard A, Nixon GM, Davey MJ, Walter LM (2017) The combined affects of childhood obesity and obstructive sleep apnea on the cardiovascular system. Sleep Medicine 41:58–68.